Here you can poduchit their knowledge of arithmetic - they are very useful. You just have to figure in the place where the amount of numbers will be equal to this number. If the number is double, it takes only the last digit. You probably already familiar with this game in which you need to capture cells as possible and overdye them their color. 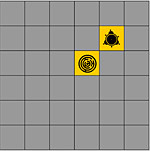 The game - one of the realizations of the game reversi. You need to remember the location of food on the table and after a few seconds to set all the same. Try for a smaller number of moves to select the same card on the field. Set osminozhek so then when growing, they captured as many as possible enemy. In this game you can not just remove the pair of figures from the field, but can poduchit English. In this game you can not just remove the pair of figures from the field, but can poduchit English. Here it comes on the relatives and the state. In this game you can not just remove the pair of figures from the field, but can poduchit English. Here it will be about animals. In the next update of this game the rules remain the same - Capture as many cells with their color. Perekidyvayte others through a friend and make sure that all persons have been smiling. Try to correctly put the chips on their type. 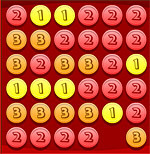 Three reversi - a species of game in which you want to fill their chips as many cells. In this game, you can not just remove the pair of figures from the field, but can poduchit English. Here it will be about food. In this game you can not just remove the pair of figures from the field, but can poduchit English. Here it comes on household goods. Man with a balloon drop in the mountains and he needs to escape from there. Help him in the managing of his movements and displacements. Note the color of all the figures that you show, and then specify the color of each. 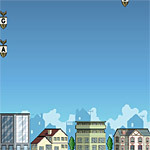 Above the fall bombies in letters - uvedennye, try to quickly press a letter on the keyboard to the bomb to destroy. Among the huge number of trifoliate clover, try to find chetyrehlistnye. You need to put the arrows, so that clicking on the course came immediately to pirate treasures.